The interested and competent candidates can apply for the JSHB Jobs online. The last date for applying is 24-07-2017. 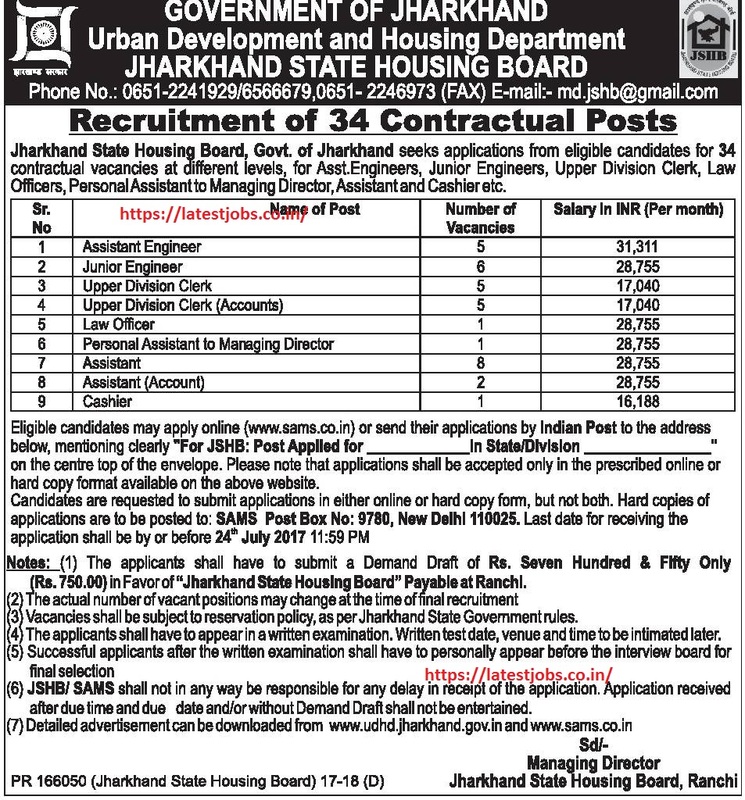 The candidates who opt for the posts of Jharkhand State Housing Board is must have the minimum qualification as specified under the official notification of Jharkhand State Housing Board . The candidates who are eligible and interested for JSHB jobs must apply online with an application fee of Rs. 750/-. The application fee can be paid by means of DD in favor of “Jharkhand State Housing Board”. After applying for the JSHB posts, the applicant can check their registration and download the admit card from the official website. The admit card can be downloaded before 15 days of the exam. The candidates for the Jharkhand State Housing Board jobs can be selected only by way of written examination. The merit in the examination helps for selection. 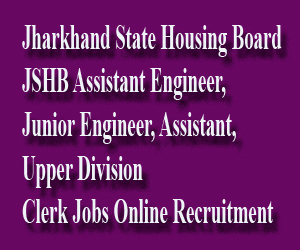 The candidates can apply for Jharkhand State Housing Board jobs through the official website of JHSB.